Charlotte restaurant chain Queen City Q said Tuesday it will no longer sell beers associated with Anheuser-Busch InBev. The boycott means no more Goose Island, Budweiser, Shock Top or any of the other beverage giant’s beers to wash down the Queen City Q’s Southern-style barbecue at its current Charlotte locations or at future locations, the restaurant said in a statement. Queen City Q cited a Wall Street Journal story from earlier this month that suggested AB InBev is rewarding distributors who focus on its beers while limiting supply from craft brewers. AB InBev estimates that participating distributors would receive an average annual benefit of $200,000 each, according to the story. 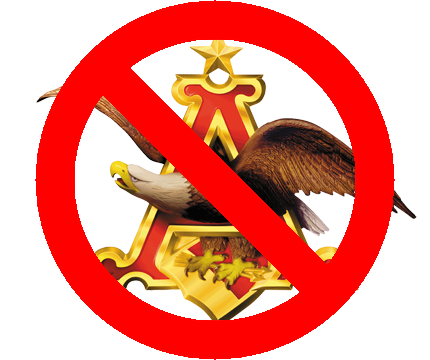 “In the grand scheme of things, I’m sure Anheuser-Busch could care less about me. I don’t sell enough to even be a blip on their radar. The message I hope they get is if 100 other people like me do this, they’re going to notice it at some point,” Meredith said. Meredith added that Queen City Q already sells a lot of craft beer – about half of the 44 taps at its uptown location serve Charlotte-made beer, for example. Meredith said the company still plans to exceed $1 million in beer sales in 2016. Queen City Q currently operates restaurants in uptown Charlotte, Matthews and Concord, with another slated to open in Ballantyne in January. The barbecue chain also operates concession stands inside BB&T Ballpark and Time Warner Cable Arena. Craft beer and breakfast foods might not seem a natural fit, but there’s a growing line of breakfast-inspired craft beers. If you thought a beer based on Wheaties was offbeat, you ain’t seen nothing yet. 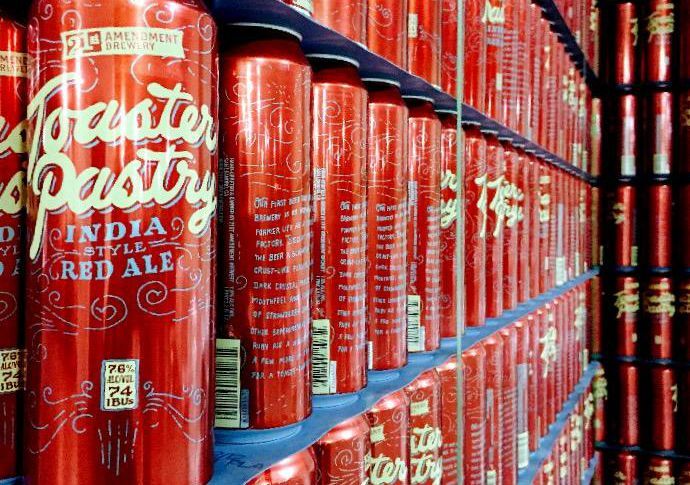 San Francisco brewer 21st Amendment is upping the ante with Toaster Pastry, an India Red Ale that’s an homage to Pop-Tarts. 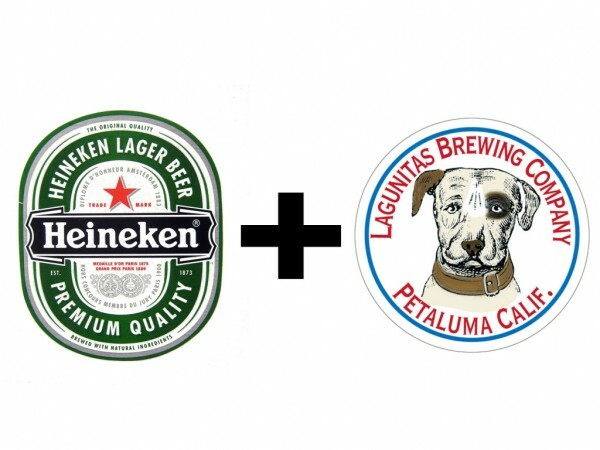 The beer will be released at the opening party for the brewery’s new facility in San Leandro on Aug. 29 – and the flavor is an homage to that facility’s former focus. Long before 21st Amendment moved in, the former Kellogg Co. factory was used to make Frosted Flakes and Pop-Tarts. After its introduction at the brewery, the beer, which comes in at 7.6% alcohol by volume, will be available in 19.2 oz. cans – a new (and permanent) size for the brewery’s seasonal offerings. Samples aren’t yet available, so I can’t yet testify to the taste (a shame, given my passion for all things Pop-Tart). Worthy of note, though, is the beer’s IBU of 74, meaning it’s roughly as bitter as a Stone IPA. I’m eager to see how that bitterness blends with the sweetness you’d expect from something with ties to a toaster pastry. Not a fan of Wheaties and prefer your Pop-Tarts in their traditional form? How about a Count Chocula beer? 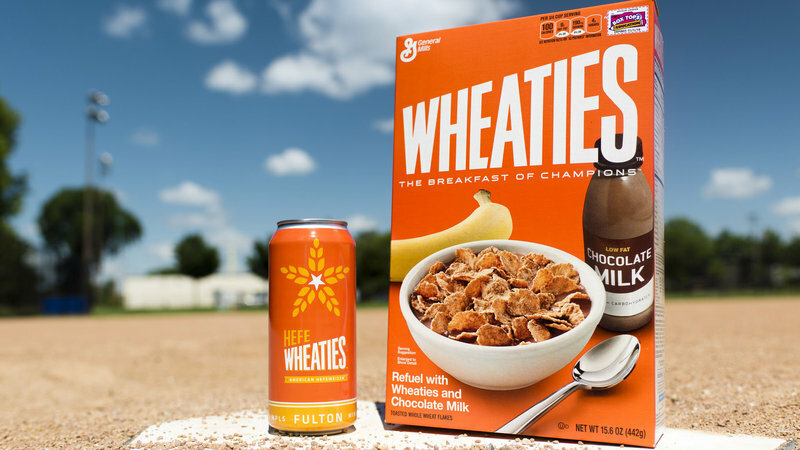 General Mills, which worked with Fulton Beer to launch HefeWheaties, has already got its next breakfast concoction in the works. Colorado’s Black Bottle Brewery will work with the company to bring back its Count Chocula-flavored beer next week. Craft beer and breakfast foods might not seem a natural fit, but they’ve teamed up in several ways. Vermont’s Potlicker Kitchen, for instance, offers shoppers a variety of jellies with a beer base – ranging from IPAs and Oatmeal Stouts to Hefeweizens and Porters. There’s even one made from Heady Topper there. Bloomberg tried them and said they taste like, well, jelly. For most craft beer lovers, though, it’s nuanced, layered ‘breakfast beers’ that are in high demand. Founder’s various breakfast stouts are widely sought after – and a breakfast beer was one of the first ideas Sam Calagione had when he was developing his Dogfish Head brewpub. Unfortunately, I can’t vouch for the quality or taste of any of the recent breakfast cereal beers (though Cerealiously Count Chocula will be poured at next month’s Great American Beer Festival, which I’ll be attending). However, if you’re in the market for a more traditional breakfast beer, here are a few to try. HefeWheaties is a new beer from Fulton, which collaborated on the brew with another Minneapolis company, General Mills. It had to happen. 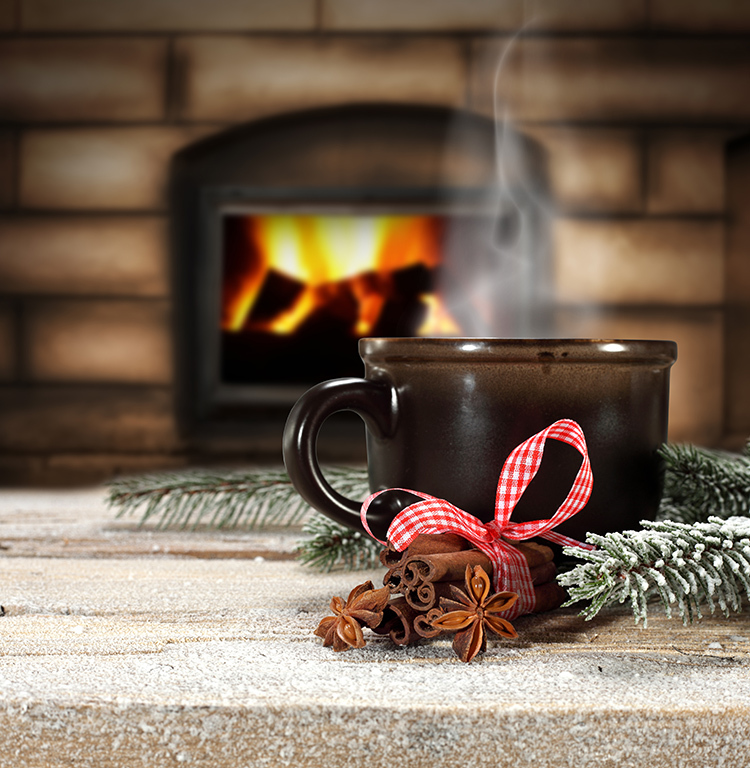 For years, the Wheaties slogan – “breakfast of champions” — has been invoked by beer lovers who pop open an adult beverage before noon. Now the cereal company is putting its name and logo on a beer. That beer is called HefeWheaties, the result of a collaboration between two Minneapolis companies: cereal-maker General Mills and brewer Fulton Beer. As the name implies, the beer is a hefeweizen, the German style that relies on wheat for its base. HefeWheaties, we were only somewhat disappointed to learn, does not include actual Wheaties. The beer is unfiltered and comes in a 16-ounce “tall boy” can, Fulton says. It will hit the market on Aug. 26 — but only at Twin Cities locations. According to the General Mills blog, “The idea for HefeWheaties came up earlier this summer, thanks to some connections between Fulton’s team” and some of the cereal-makers’ employees. “It’s the first alcohol partnership for Wheaties, General Mills’ original cereal, which was born in the 1920s,” reports the Star Tribune.